There are three types of letters in Japanese. 1. 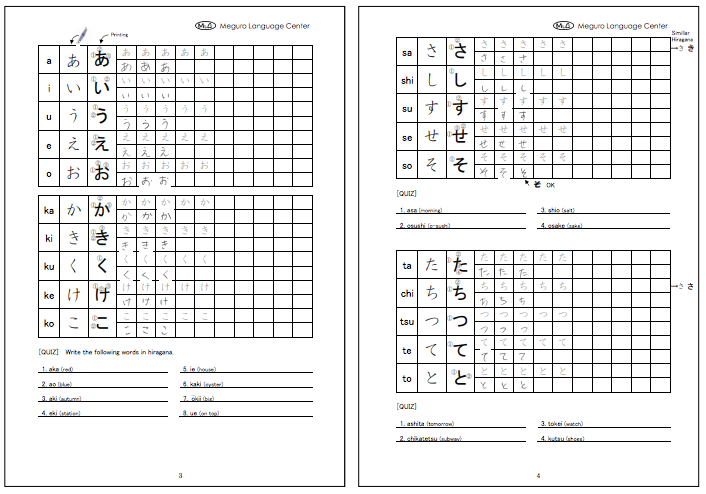 Hiragana (phonetic sounds) are basically used for particles, words and parts of words. 2. Katakana (phonetic sounds) are basically used for foreign/loan words. 3. Kanji (Chinese characters) are used for the stem of words and convey the meaning as well as sound. We suggest you start learning Hiragana, then Katakana and then Kanji. 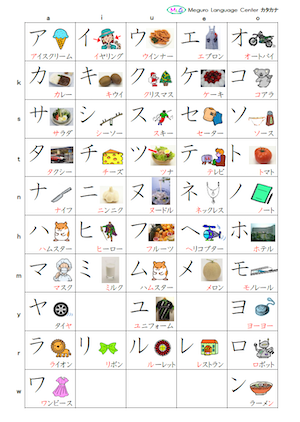 If you learn Hiragana first, it will be easier to learn Katakana next. Hiragana will help you learn Japanese pronunciation properly, read Japanese beginners' textbooks and write sentences in Japanese. Katakana will help you read Japanese menus at restaurants. Hiragana and Katakana will be a good help to your Japanese study and comfortable living in Japan. 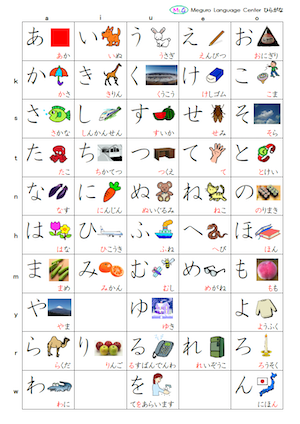 Now, we are offering free lessons to master Hiragana in 13 days (or 25 days). We will send you links to the learning material via email in 8 lots. 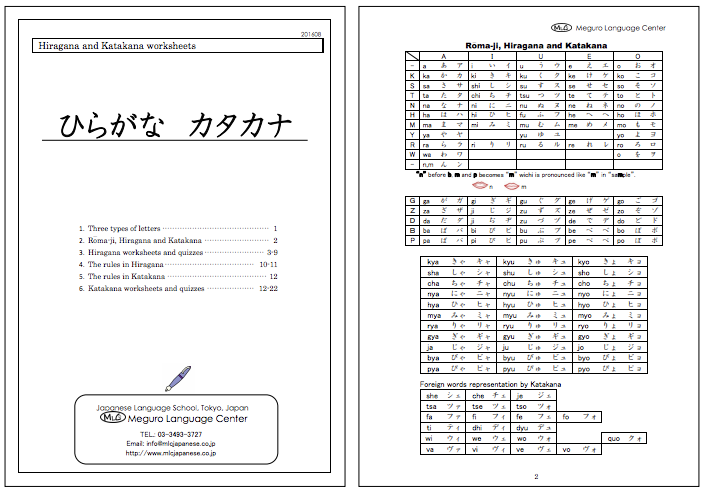 Once you have downloaded the learning material, follow the instructions and take the quizzes to master Hiragana! 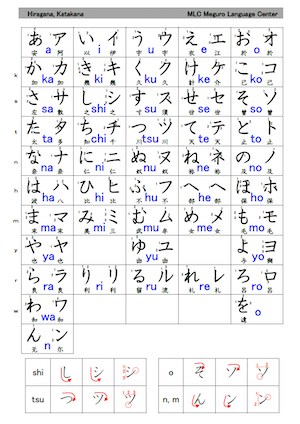 Hiragana is basically used to express 46 different sounds used in the Japanese language. 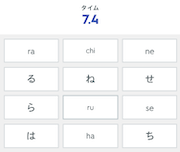 You will learn these 46 Hiragana over the course of 8 lessons - Japanese will become a lot easier to study after having learned Hiragana.Also, as you will be able to write sentences in Japanese, you will be able to write E-mails in Hiragana. It's simple to register - just choose the course of your preference and enter your email address! Sorry but we do not provide student visas.